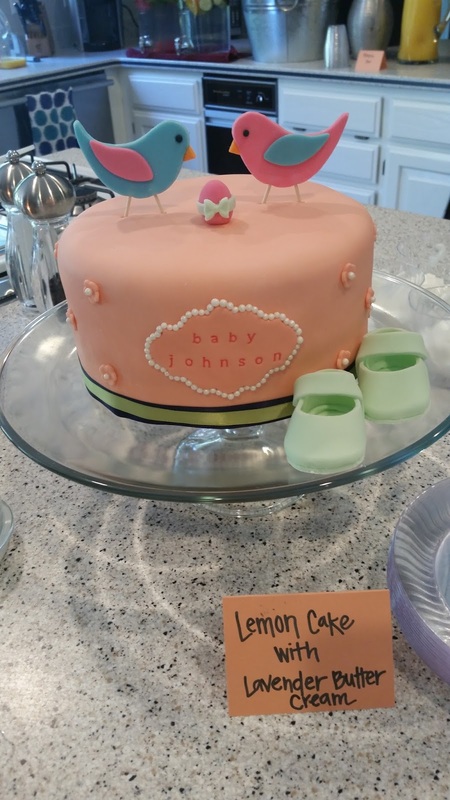 Baby shower cake I made for a friend of mine. Lemon cake, lavender flavored (and colored) buttercream and homemade marshmallow fondant. I wish I got a picture of the inside. The lemon cake and lavender buttercream was beautiful.